What is the IAEA CONNECT platform? What can I find on the CONNECT platform? You can find technical networks' sites filled with information on their specific areas. Consider these networks' sites as your one-stop shop (but free, of course) for all information related to that technical network area. Each network is unique, therefore, they will not necessarily offer the same features and types of content, but generally you will be able to find related publications, experts, access to eLearning materials, useful links, forums for discussions, multimedia libraries, and more. Discussions between registered users on current technical challenges, potential solutions, troubleshooting and operational feedback. Collaborative development of guidance documents, procedures and training material. Greater visibility and access to key domain experts. Finding an expert, from anywhere in the world, is fast and easy. Cost-free access to training materials and courses in the various fields of nuclear energy. Easy access to materials presented at IAEA workshops, training courses, group scientific visits and more. Access to shared experiences and lessons learned, as well as best practices. How do I access the networks' public sites? 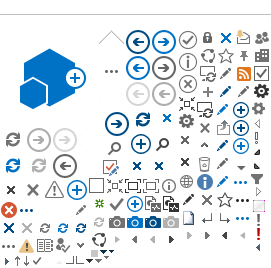 It is as simple as to click on the respective network icon available at the CONNECT homepage. Once you are there, you can bookmark it for easier future returns. You can also use the links provided two questions down. Yes, we try to make things easy for you as much as we can. How to access the members-only portion of the networks' sites? You will need to become a member of that network. It is very easy! For details on how to request network access, please watch this. Which networks are available on CONNECT? Yes, you can. You might not need to, but you can. That is because on the CONNECT platform, once you are a member of one network you have access to content on the whole platform, including the other members-only areas. However, please note there are some limitations. As the platform is interactive, you will only be able to contribute in discussion forums and upload/download documents, for example, on the network area you are a member of. You can request access to other networks, once you are a member already, from this site. Or you can proceed just like you did when you requested your first membership. Can't remember how you did it? Watch this! Does the IAEA CONNECT platform have a Terms of Reference? How can I contact the CONNECT Administrators? We are always glad to hear from you. You can contact us at CONNECT.Contact-Point@iaea.org.